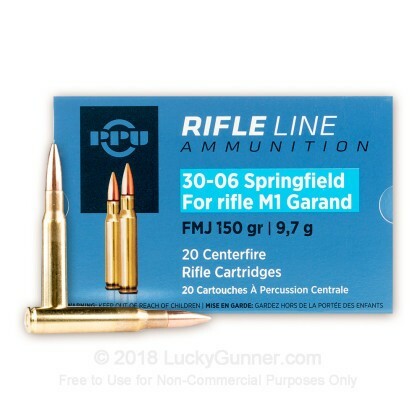 This Prvi 30-06 ammo is designed specifically to meet the lower pressure requirements of the M1 Garand to protect your historical investment. 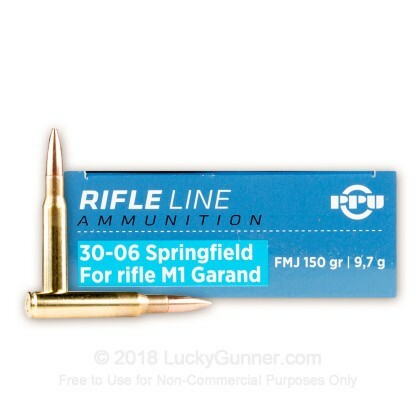 Modern 30-06 ammo unless specifically designed for the M1 Garand has too high of pressure and over time can damage your op rod. This ammo is perfect for a CMP shoot! clean burning and very accurate. Very nice in a Garand rifle. As long as you have it I will keep shooting it! Very accurate and clean burning! Brass is nice and thick ,perfect for reloading. Thank You LuckyGunner for your Boss customer support and fast shipping. Ordered on Monday ,showed up at 1pm Wensday. Am adding to my stock for the coming days of ferment. Am familiar with the brand and find they sell some of the best fodder on the market. 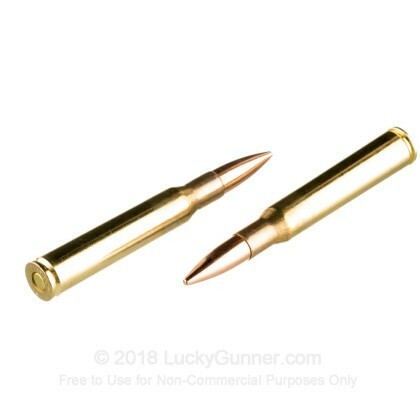 Q: I understand the 150 grain bullet is suitable. Does the powder used match the military round used for the M1? A: It will be a modern blend, but will still produce the pressure levels consistent with period correct ammunition. 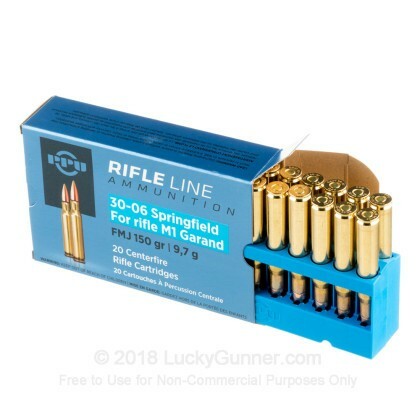 Q: Are these rounds suitable for any 30.06 rifle, or are they specific to the M1 Garand? 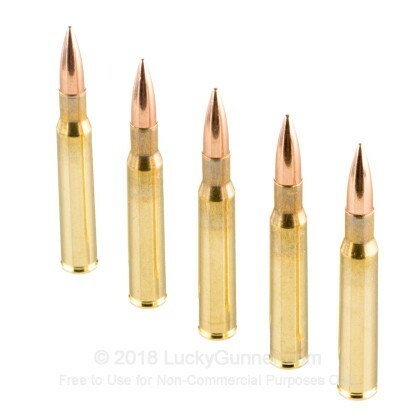 A: These will work in any 30-06 rifle. They are branded as M1 Garand rounds as there is a bit of confusion to recommended ammo with them. 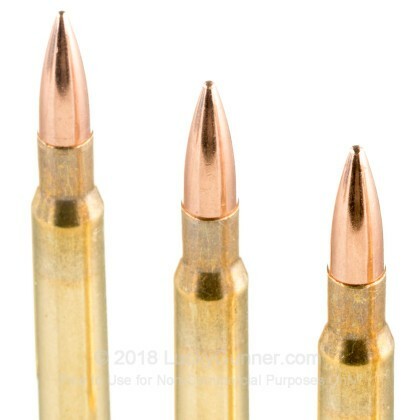 Heavier weighted bullets can potentially damage the Operating Rod in them, so its only recommended they fire at or near 150 grain bullets. This was a marketing move to help folks with those rifles. But this billet will work in any rifle chambered for the caliber. I hope this helps clear up any confusion. Q: Is the ammo non corrosive? A: Hello Andrew, This ammunition is new manufacture and is loaded with all non-corrosive components. A: Hello Erick! This ammunition is loaded with a standard copper jacketed, lead core projectile. It does not contain any steel and is not magnetic. We also have this 30-06 - 150 Grain FMJ - (M1 Garand) - Prvi Partizan - 20 Rounds ammo in stock in a smaller quantity.